Many Western governments believe that citizens should be encouraged to take care of their own health and see to it that they get sufficient vitamins and minerals by eating a varied diet, with plenty of fresh fruits, vegetables, whole cereals and different protein sources. Adding vitamins and minerals to processed foods is allowed, as long as producers abide by the relevant regulations, but the government does not make public funds available to finance R&D and propagation of fortified foods. China is one of the nations that actively support public nutrition. This means that the government finances R&D into the field of food fortification and the promotion of fortified foods, as a means to enhance the general state of nutrition of the population. This is not surprising, because the concepts of food, nutrition and medicine are much more intertwined in Chinese culture (Traditional Chinese Medicine TCM) than in the West. The leading policy making organization here is the Public Nutrition Development Centre (PNDC), an organization under the State Development and Reform Committee of the State Council. R&D is coordinated by the Nutrition and Food Safety Institute of the Centre of Disease Control under the Ministry of Public Health. This policy, combined with a population of approximately 1.4 billion people, has created a highly attractive market for suppliers of single nutrients, nutrient pre-mixes, and ready-to-eat fortified foods. The Food Ingredients China (FIC) 2018 trade fair (March 22 – 24) included 26 suppliers of various vitamins, and many more of minerals other nutritious food additives. The Chinese love to give localise foreign things and ideas. 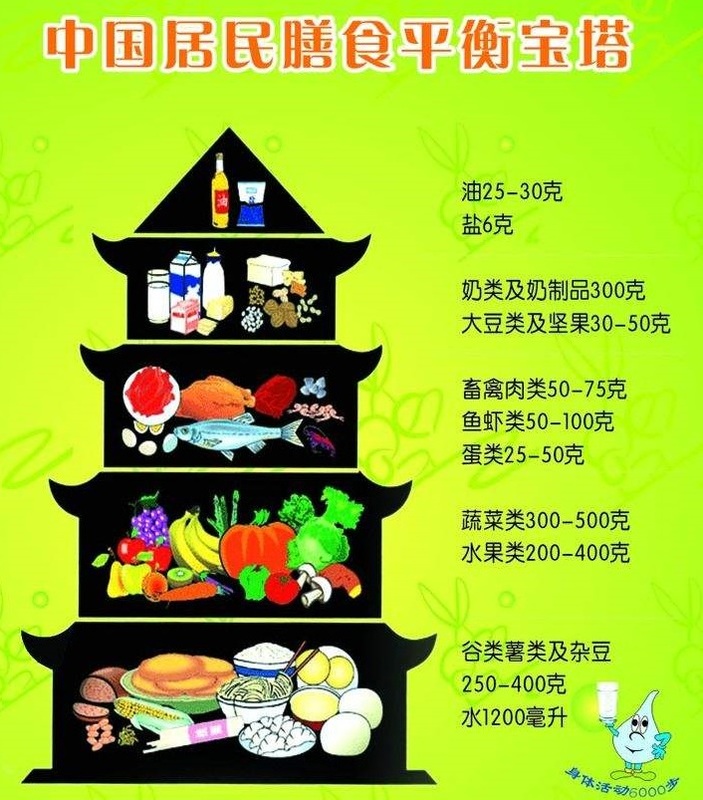 The Western nutrition pyramid has been made Chinese by changing it into the nutrition pagoda. From top to bottom, the recommended daily intake of various nutrients is as follows. Oil &fat: 25 – 30 gr. Milk & dairy products: 300 gr. Beans & nuts: 30 – 50 gr. Meat: 50 – 75 gr. Seafood: 50 – 100 gr. Eggs: 25 – 50 gr. Vegetables: 300 – 500 gr. Fruits: 200 – 400 gr. Staples: 250 – 400 gr. The Chinese government has a made a generous budget available to develop pre-mixed micronutrients. Most micronutrients cannot be simply added to and mixed with other ingredients. Manufacturers of fortified foods need to be sure that the nutritional value of their product when consumed meets the promise they make in the nutrition information on the packaging. Some nutrients lose activity during heating, while others may dislike a low or high pH value. Some nutrients dislike one another’s presence. This means that many nutrients need to be buffered or treated otherwise. This is specialist knowledge held by a small number of specialist scholars. These researchers develop processes to protect single nutrients and formulate nutrient pre-mixes in state sponsored research facilities. However, those organizations are less suited for industrial production. 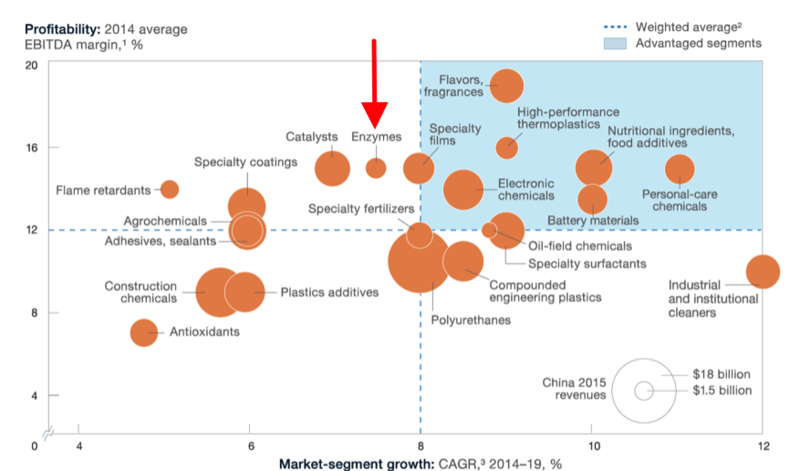 A number of more entrepreneurial researchers have set up companies for the production of ready-to-use nutrients during recent years. Several of them have been very successful and have proved to be fierce competitors to the multinational players like FMC or DSM, who are competing for a share in this lucrative market. The basis of their success is exactly their forming a close and effective chain with government regulators, research institutes, nutrition professionals and food and beverage manufacturers. Infant formulae and ‘nutrition packages’ for primary school children; infant formulae are by far the largest application, as well as the best known one. The nutrition packages are ready to use packages of micronutrients for children of primary school age. Experiments have been conducted with the latter, handing out nutripacks to children (see picture below), but providing such packages has not been institutionalised so far. The packages use soy or soy protein as a basis and add Vitamins A, D, B1, B2, B12, folic acid, iron, zinc and calcium. 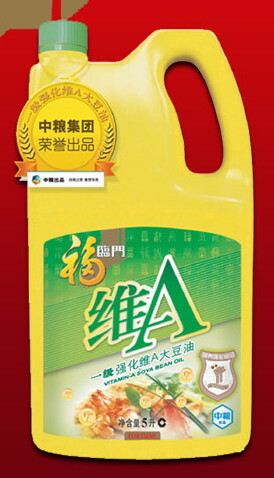 Vitamin A fortified cooking oil; as a rice eating nation, many Chinese lack vitamin A and the PNDC has been searching for the best carrier for this vitamin. Cooking oil is one vector that has been tried, in cooperation with COFCO. Products have been launched, but sales seems to be disappointing so far. 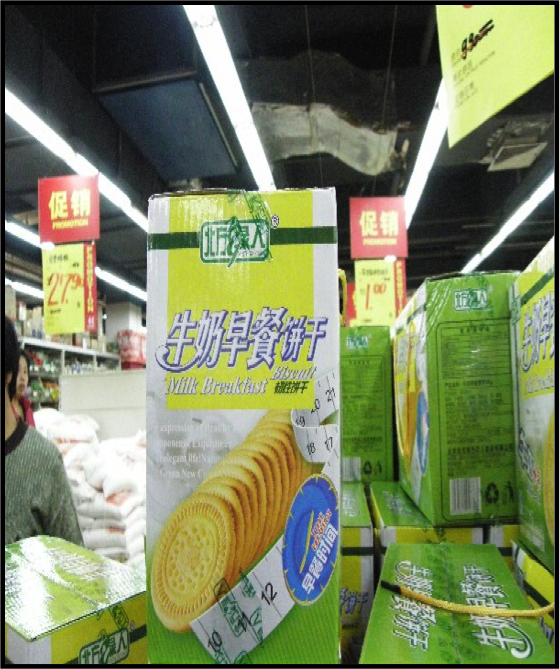 Wheat flour fortified with 8 nutrients; Vitamin A is also allowed in flour, another ingredient available in every Chinese household. 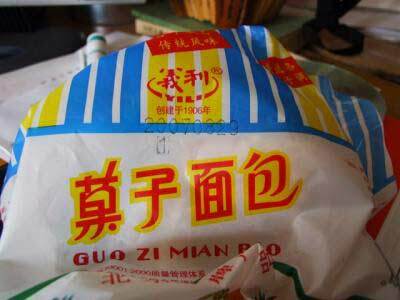 Guchuan Flower has partnered with the government in developing fortified flour This experiment seemed to have failed as well, because consumers are not willing to pay a premium price. Fortified rice; in cooperation with Bühler, DSM has develop a process to fortify rice with several vitamins and minerals by making fake rice granules that are mixed with regular rice. This Nutririce is produced in Wuxi (Jiangsu). Bühler acquired DSM’s share in the plant late 2013, but DSM remains committed to developing this product. As rice is regarded as a strategic staple, this entire development process has been conducted in close contact with the relevant authorities. Iron fortified soy sauce; iron deficiency is huge in China and soy sauce has been found a proper carrier for iron (EDTA iron). It is current the most propagated fortification project in China. A number of soy sauce manufacturers have launched iron fortified products, but again so far the results seem to be somewhat disappointing. Iron fortified wet noodles and steamed bread (mantou); this multi-nation research project has been initiated by the Food Fortification Initiative (FFI) Secretariat in 2009 and executed by the Nutrition and Food Safety Institute of the Centre of Disease Control. The results were promising, but this has so far not resulted in the regular production of such fortified products. Probiotics; the fortification of suitable foods and beverages with probiotics like oligosaccharides was officially launched in January 2007. A sufficient intake of probiotics promotes a healthy gut flora. Iodine salt: until recently, iodine salt was required in all manufactured foods. This law changed in May 2018. Since then iodine salt is only required in specific cases like regions with iodine deficiency. Another aspect of the new rules was that iodine also has to be listed on the packaging of manufactued foods. The lack of progress of several of the the above mentioned projects seems to indicate that public nutrition in China still has a long way to go. Possibly, the many food safety incidents are negatively affecting these campaigns. Chinese consumers are still waiting for regular food to be safe for consumption, so there is little attention left for fortified food. Moreover, as a result of the public food safety concern, the Chinese media regularly report about ‘excessive number of additives’ in certain foods like soft drinks or ice cream. Fortified foods need to comply with the regulation to indicate all ingredients on the label, so they may end up with an even longer list of ingredients than the non-fortified competitive products. Through most of the imperial dynasties until the 20th century, milk was generally shunned as the rather disgusting food with horrible odour of the barbarian invaders. Foreigners brought cows to the port cities that had been ceded to them by the Chinese in the opium wars of the 19th century, and a few groups such as Mongolian nomads used milk that was fermented and made cheese-like products, but it was not part of the typical Chinese diet. 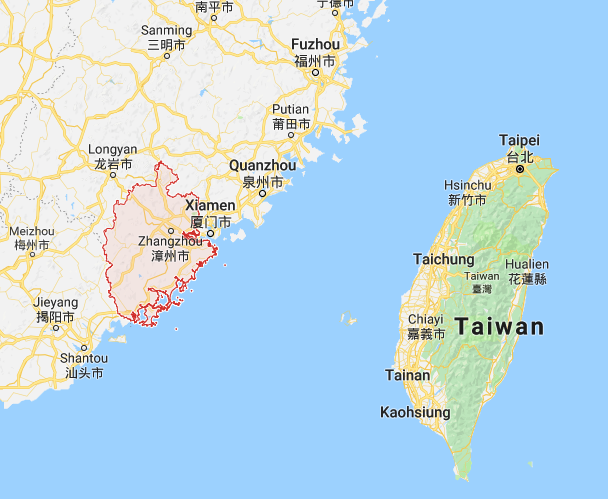 When the People’s Republic of China was born in 1949, its national dairy herd was said to consist of a mere 120,000 cows. However, the Chinese government has always supported the dairy industry since the founding of the PRC. However, evaporating raw milk into milk powder has been the major production process for a few decades. This made sense, as milk was produced in only a limited part of China and the milk powder could be easily distributed to other regions and then rehydrated into liquid milk. Milk powder was also the main imported dairy product. Another typical feature of the early decades of the modern Chinese dairy industry was that milk was regarded as an essential drink for two segments of the population: children and the elderly. As China opened up to the market in the 1980s, milk powder began appearing in small shops where you could buy it with state-issued coupons. Parents bought it for their children, because they thought it would make them stronger. There also was a nationalist aspect to this. China felt humiliated ever since the opium wars, and developing a domestic dairy industry would make the national less dependent on foreign powers. Today, China is the third-largest milk producer in the world, estimated to have around 13 million dairy cows, and the average person has gone from barely drinking milk at all to consuming about 30 kg of dairy produce a year. In a little over 30 years, milk has become the emblem of a modern, affluent society and a country able to feed its people. The transition has been driven by the Chinese Communist Party, for which milk is not just food, but a key strategic tool. The fact that people can afford animal produce is a visible symbol of the government’s success. Making animal produce, particularly milk, available to everyone across the country is a way of tackling potentially destabilising inequalities that have arisen between the big cities and some of the poorest rural areas while China has developed. In the poorest regions, nearly one in five children are still short for their age, from lack of adequate nutrition. The Party’s current, 13th five-year plan identifies one of its top priorities as shifting from small-scale herds to larger industrial factory farms to keep its population of 1.4 billion in milk. Official guidelines on diet recommend people eat triple the amount of dairy foods that they typically consume currently. President Xi Jinping has talked in speeches about making a “new Chinese”. In 2014, he visited a factory owned by China’s largest dairy processor, Yili, and exhorted its workers to produce good, safe, dairy products. That new Chinese is expected to be a milk-drinker. His predecessors already launched the ideal that ‘each Chinese would drink one glass of milk per day’. This belief in the power of dairy stuck with the average Chinese as well. Some claim that it took hold with the 1984 Olympic Games in Los Angeles. New mass ownership of television sets had allowed Chinese people to see real foreigners, as opposed to actors, live on TV for the first time. “They were amazed to see how strong and tall foreigners were. They could jump twice as far, run twice as fast. They concluded that Americans ate a lot of beef and drank a lot of milk and Chinese people needed to catch up.” Chinese state planners were also impressed by the way the Japanese had developed. When the US defeated and occupied Japan after the Second World War, they had introduced feeding programs in Japanese schools to give children milk and eggs. Average heights increased within one generation. As populations urbanise, they have always moved up the food chain, making the transition from diets largely based on grains and vegetable staples to ones in which meat, dairy, fats and sugars feature more prominently. China has followed the same trajectory. Dairy consumption grew rapidly through the 1980s and early 90s. The western model of retailing based on supermarkets with longer supply chains arrived in cities, too, making it possible for producers to distribute milk further and easy for shoppers to buy it. As incomes increased, people could afford refrigerators in their homes and wanted milk to put in them. For factory employees working long hours, dairy foods represented a convenient way to get nutrients without having to cook. Technology to produce UHT milk with longer sell-by dates, imported in the late 90s, gave consumption a further boost. Since fermenting milk helps break down lactose, yoghurt and other formulated dairy products were also marketed to overcome lactose-intolerance. The reinvention of milk as a staple of modern China has required a series of remarkable feats. It has involved privatising farming, allowing processing companies to become corporations, and even converting desert areas into giant factory farms. As populations urbanise, they have always moved up the food chain, making the transition from diets largely based on grains and vegetable staples to ones in which meat, dairy, fats and sugars feature more prominently. China has followed the same trajectory. Dairy consumption grew rapidly through the 1980s and early 90s. The western model of retailing based on supermarkets with longer supply chains arrived in cities, too, making it possible for producers to distribute milk further and easy for shoppers to buy it. While incomes increased, people could afford refrigerators in their homes and wanted milk to put in them. For factory employees working long hours, dairy foods represented a convenient way to get nutrients without having to cook. Technology to produce UHT milk with longer sell-by dates, imported in the late 90s, gave consumption a further boost. Since fermenting milk helps break down lactose, new yoghurt products were also marketed to overcome lactose-intolerance. Now the global impact of China’s ever-expanding dairy sector is causing concern in other countries. Dairy farming requires access to vast quantities of fresh water: it takes an estimated 1,020 litres of water to make one litre of milk. But China suffers from water scarcity, and has been buying land and water rights abroad, as well as establishing large-scale processing factories in other countries. A recent move in this respect was the announcement that Yili Dairy (Inner Mongolia) intended to acquire New Zealand’s Westland Milk Products. The news immediately triggered a host of positive and negative reactions, with headlines like: ‘Can the world quench China’s bottomless thirst for milk?’. So, while Western imperialism laid the foundation of the modern Chinese dairy industry, China is now ‘colonising’ the former imperialists. The Chinese government has introduced the National School Milk Programme in 2000 to support the improvement of students’ nutrition and the development of the Chinese dairy industry. After a decade of operation, the programme reached more than 8 mln students by the end of 2011. And thanks to the Nutrition Improvement Programme for Rural Compulsory Education Students (NIPRCES) launched in 2012, the School Milk Programme more than doubled its coverage in the following years. 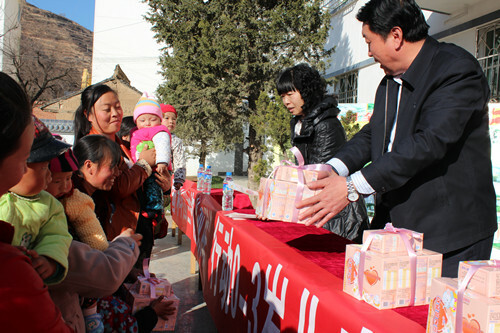 At present, nearly 20 mln Chinese students receive milk in their schools every day on average. The School Milk Programme creates demand for higher quality and locally produced and UHT processed milk, sourced from licensed dairies. After the School Milk Programme was introduced in 2000, China’s raw milk production increased by 10% per annum over a period of 13 years, dairy cattle stock increased from 4.6 mln to 14.4 mln and annual dairy products consumption volume per person grew from 6.7kg to 27.86kg. A study made in 2009 shows that children gained an extra of 1.2cm in terms of height and 0.6 kg in terms of weight on average after receiving school milk regularly for three years. Though the School Milk Programme has expanded quickly over the past years, it covers only 15% of the total students at the stage of mandatory education. In light of increasing public attention on student nutrition status and the expansion of programmes like NIPRCES, the School Milk Programme is expected to benefit more students in the future. However, there is already a large number of fortified foods available in China. Many of them add single nutrients, in particular calcium. Calcium deficiency is rampant in China as well, and calcium compounds are easy to add to foods and beverages. Iron, zinc, magnesium and vitamins in various combinations are added too. 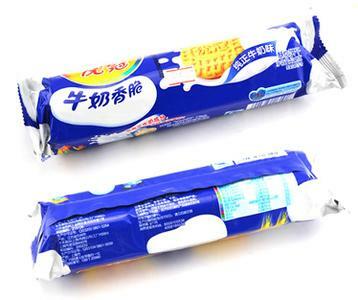 An interesting example is Mondelez (formerly Kraft) that is producing biscuits in China with 10 nutrients added. The following table shows the content of each nutrient per 100 gr of finished product as indicated on the consumer packaging. 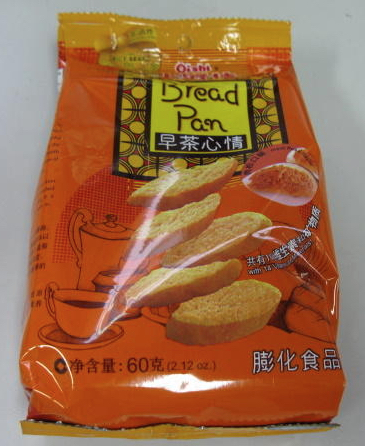 Another example worth mentioning here is Bread Pan, produced by Oishi, a Chinese venture of Philippines based Liwayway Holdings. The bread is sold as packed slices and marketed as a breakfast food. 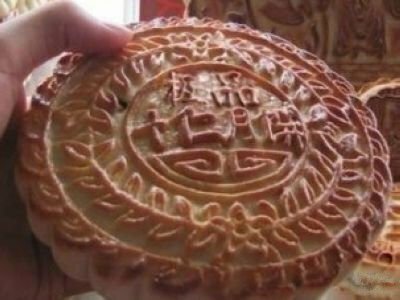 It is flavoured with shredded beef. Added nutrients per serving are listed as follows. Some manufacturers seem to struggle between the will to make their product more nutritious additives and the need to maintaining the texture and flavour of the original product. In other posts, I have pointed out that most industrial bread sold in China comes with an impressive ingredients list. Mankattan Food is offering a ‘fortified bread’ with the following ingredients. Whole wheat flour, high gluten wheat flour, water, HFCS, yeast, shortening, salt, gluten powder, calcium propionate, calcium carbonate, compound enzyme (calcium sulfate, vitamin C, xylanase, alfa-amylase, glucose oxidase), calcium lactate, food flavour, beta-carotene, mixed vitamins and minerals (maltodextrin, ferrous pyrophosphate, nicotinamide, zinc oxide, vitamin B1, vitamin B2). This bread indeed supplies the consumer with some additional nutrients, but also contains a number of non-natural ingredients that are not strictly needed to make artisanal bread. Most of these manufacturers of fortified foods and drinks do not cooperate with PNDC. This indicates that lack of strategic and marketing knowledge is part of the problem in propagating public nutrition by the authorities. So is a public nutrition policy like that of the Chinese government more effective that the propaganda to eat well policy of most Western governments? So far, no comparative research has been conducted. My personal impression (I have been involved in a global market survey concerning public nutrition) is that big city dwellers in China or West Europe usually have few nutrition problems. They have the knowledge about nutrition and have access to nutritious food ingredients. The difference could be in the poorer regions on those countries and the entire globe. It does make sense to add nutrients to staple foods or food ingredients that are used in most households.